This graceful, small ornamental tree is a native of eastern US forests, where it grows in the understory. It ranges from southern Maine (where it’s endangered), Vermont (where it’s threatened) and New York (where it’s exploitably vulnerable) to Texas. 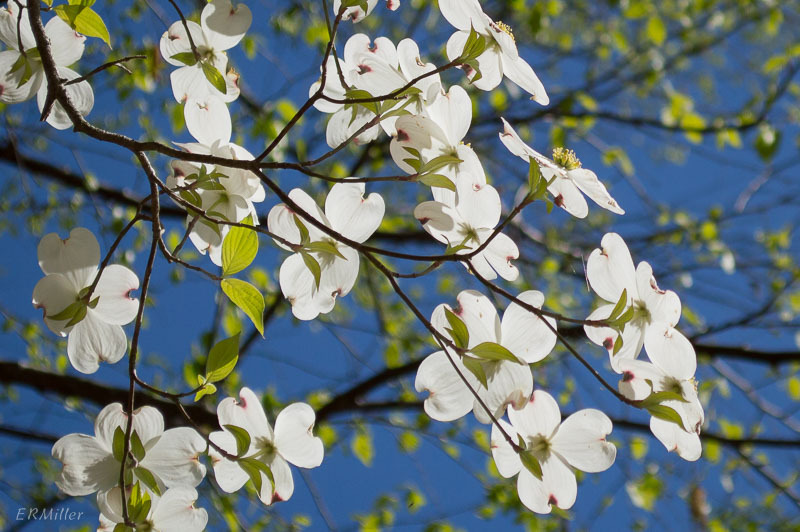 Dogwood is the state tree of Missouri, the state flower of North Carolina, and the state tree and flower of Virginia. The United States sent 3000 dogwood saplings to Japan on the 100th anniversary of Japan’s gift of the cherry trees which grace our national capital. Dogwood is pretty easy to grow and is a common landscape tree in the eastern US, but it is prone to pests, including borers, powdery mildew, cankers, crown rot, and the dreaded anthracnose, a fungal disease caused by an organism believed to have been introduced to the US in 1978, but of unknown origin. 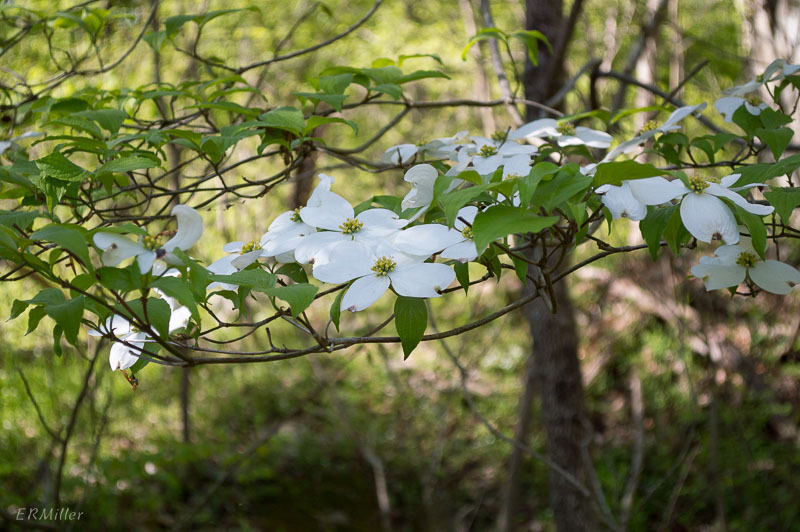 Dogwood is considered a soil improver, because the leaves decompose much faster than other trees’ leaves do. And, see those little yellow things in the center? Those are the flowers. The white parts that look like petals are actually bracts (modified, colored leaves). 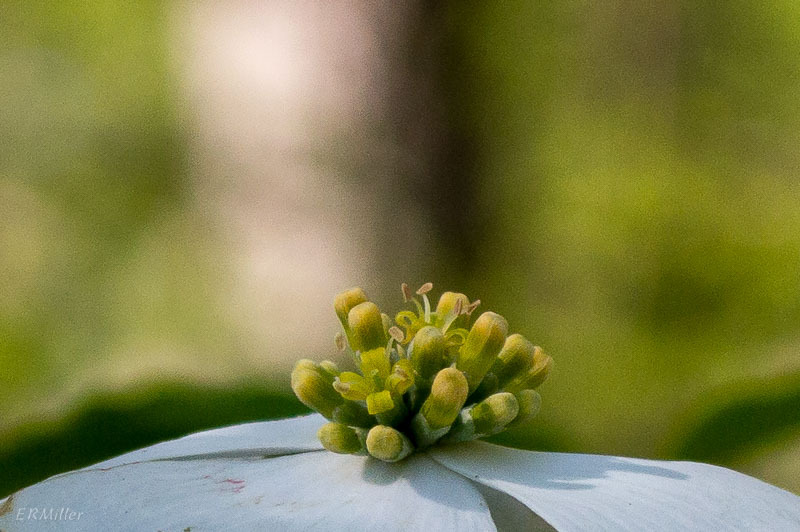 This entry was posted in Uncategorized and tagged Cornaceae, Cornus, dogwood by elizabeth. Bookmark the permalink.